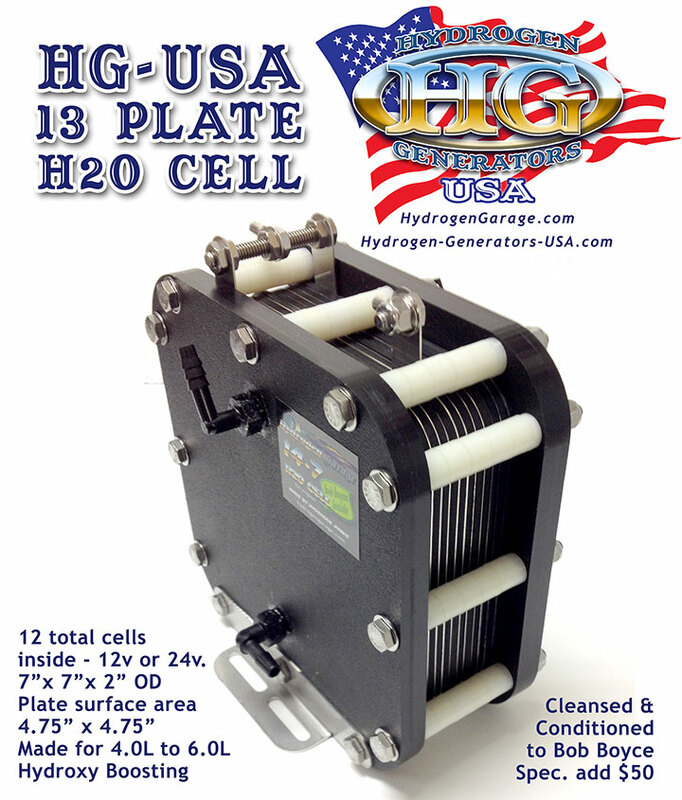 Hydrogen Generators USA and Hydrogen Garage are now one. We are keeping the famous Rich Varble H2O cell design going. Rich passed away in 2018 and Tracey sold us his parts and suppliers. We will continue the sale of Hydrogen Generators USA. Same design for HHO boosting 1.5L to 4.0L engines, gas or diesel. 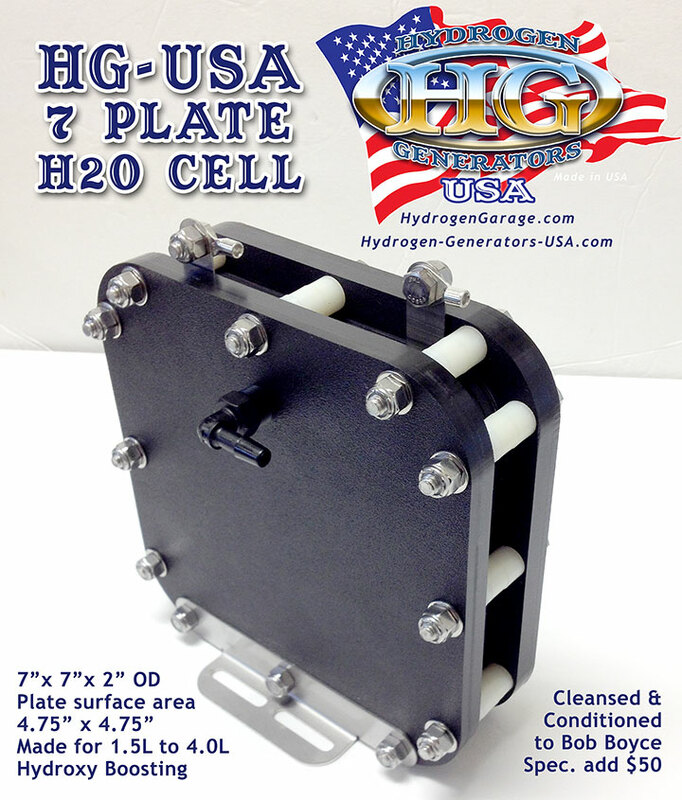 We also have a HG 7 Plate Cell Kit for sale, includes bubbling water tank, 5" hydroxy dryer and hose, clamps and Mike's PWM. This 7 plate design is a Bob Boyce design : 2 power plates and 5 neutral plates, we kept the design the same, we only added two isolation tubes in the water in and gas out holes, this slows down voltage leakage, helps create less heat and use the once heat energy to make more gas! Sealing the cells from each other also strengthens the magnetic field inside the cell, with more push pull on the neutral plates, then spending most of the higher voltage escaping though the plate holes.